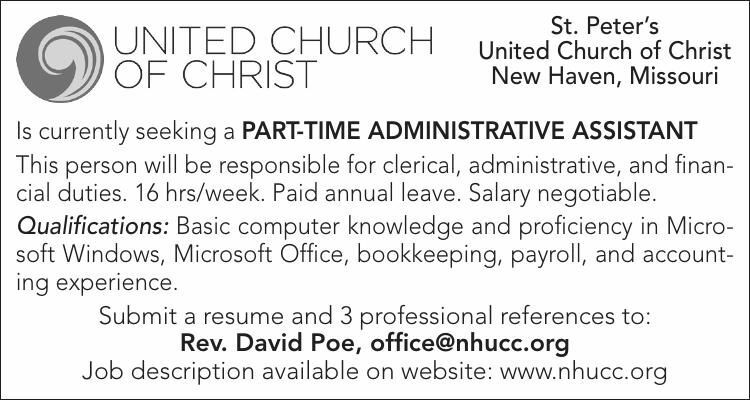 This person will be responsible for clerical, administrative, and financial duties. 16 hrs/week. Paid annual leave. Salary negotiable. Qualifications: Basic computer knowledge and proficiency in Microsoft Windows, Microsoft Office, bookkeeping, payroll, and accounting experience.